* Sturdy base construction will hold up to 200 lbs. * Satin finish is durable and easy to keep clean. * Individually hand crafted at our facility. 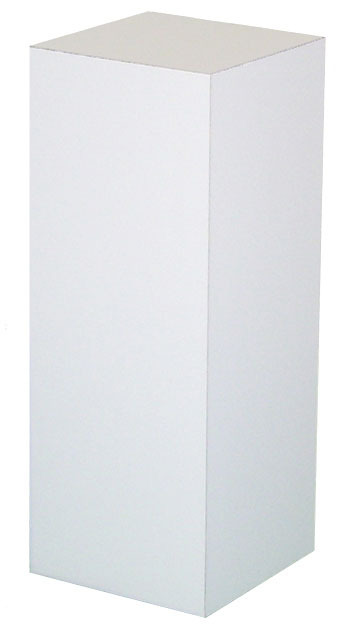 * Small & Tabletop Sized Pedestals. * Many sizes available for exciting multiple display possibilities. * Order custom sizes - Please call. * Need a custom laminate color - Please call. * Affordable - Below market pricing. * Do you have a very heavy piece? Call us. We can accommodate your display. 42" x 18" x 18"